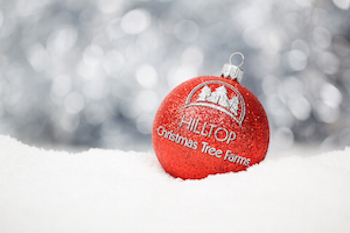 This is a sponsored post written by me on behalf of Hilltop Christmas Tree Farms for IZEA. All opinions are 100% mine. My sisters and I tromped through the tree farm, looking for the best one. The one that was just the right height, full, fragrant, with a straight trunk. It needed to look great from all sides, and have happy upward-reaching branches for us to put our copious amounts of ornaments on. Once we found the right one, we watched it as it was shaken in the tree-shaking machine (What is that thing called? Is there even a name for it?) to get rid of any dead needles, so that it wouldn’t shed on our floor. Then, it was wrapped in netting and loaded onto our car. We got apple cider from the little stand at the farm, and talked to the giant talking Christmas tree before we left for home. Yeah, our farm had one. Yours didn’t? I think every year, our Christmas tree experience varied a bit. I remember taking turns selecting ornaments from our family’s collection to hang on the big family tree, or to take to our little personal trees in our bedrooms (how cool was that???). White lights, colorful lights, sparkly twinkling lights… it varied from year to year. One year, we went to our family’s cabin in the mountains, and cut down a scrawny little tree, then decorated it with handmade origami ornaments. Some years, we had a “hanukkah bush” – basically a Christmas tree which we decorated in shades of blue, white, and silver. Once, we had an all-natural tree. We strung popcorn garlands and cranberry ones. We had little ornament balls that were covered in birdseed, which we put outside for the birds once the holiday was over. This was one of my favorites. I wouldn’t say we had specific Christmas tree traditions, but we certainly made memories. And I think that’s what I’ll aim to do with my kids. Make memories. Different ones each year. Play it by ear. I haven’t decided what we’ll do this year, but since we’re in the Mojave desert, I can pretty much guarantee it won’t include tromping through a tree farm to cut our own tree. Nope. 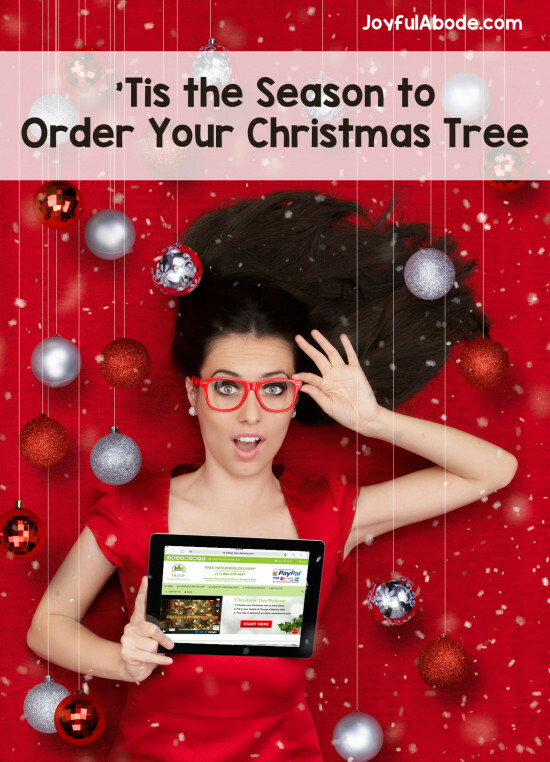 I’ve been looking at Hilltop’s Christmas tree delivery service (they have wreath delivery too!) and they look like a great option for those of us who can’t go to a farm or don’t want to. (And no scratching up your car by loading a tree onto it either.) You can choose how big a tree you want (by tree height), and if you want to splurge a little more to get one of the densest ones. One of the best parts seems to be that the tree will be way fresher, since it’s sent directly to families after cutting. For those of us who live in a place where a hardware store “tree lot” is the only local option, we’d be stuck with a tree that was cut who-knows-how-many days (weeks?) ago… one that’s halfway dried up and which will drop needles all over the place. I’d much rather have a nice pine-smelly fresh tree that will look great through the whole season. Do you have Christmas Tree traditions in your family? Or do you do different things each year? My favorite with our daughter was the year we made gingerbread men and popcorn strings and added candy canes. It was lovely in front of our white staircase. And we gave a candy cane from the tree to each person who visited. When the holiday was over we put the tree in a snowbank in our backyard and let the birds eat the popcorn and gingerbread men. It was a true giving tree.